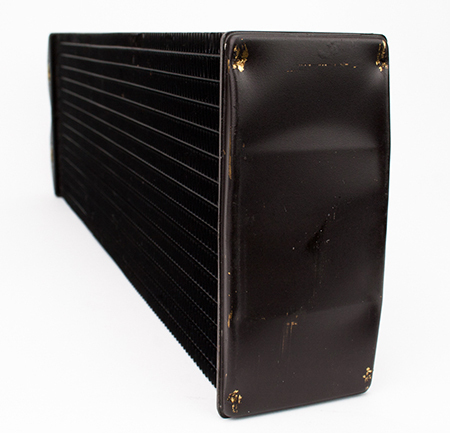 The first batch of XE radiators had slightly shorter distance between top chamber and enclosure this way allowing the top screw to touch and scratch the inner top chamber. This is the case ONLY on XE 480 model and does not affect the smaller versions (120, 240 and 360). We have opened up and pressure tested all current stock of XE radiators (all of 480 models and samples from other sizes) and have found out that there is no risk of leakage due to this indentation. The screws do scratch the surface and sometimes dent the chamber, but they do not puncture it. Therefore XE radiators are fully functional and OK to use. EK Water Blocks is ready to process any RMA request or exchange of product without any limitations if the customer decides to do so with proof of purchase dated prior to 30th of October 2015. All XE deliveries from EK Water Blocks to official resellers and end customers from this point on are clear of this risk as we have eliminated such scratched units from our inventory.